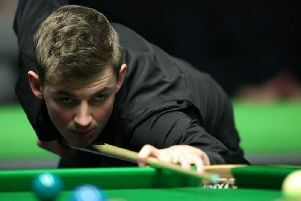 Blackpool’s James Cahill has shocked another of snooker’s biggest names in making progress at this week’s ManBetX Welsh Open. The Marton-based amateur reached round three of the tournament in Cardiff following a 4-2 win over former world champion Shaun Murphy. Murphy took the opening frame thanks to a break of 61 before Cahill got on level terms by claiming the second. He then took the lead for the first time with a break of 115, only for Murphy to get on level terms with a run of 55 giving him victory in a closely-fought fourth frame. However, a break of 64 saw Cahill retake the lead before he held his nerve to claim the sixth frame and a place in round three. He had reached that stage following victory by the same score against Gerard Greene in round one. Victory in that match was achieved thanks to breaks of 51 and 62 against the former Players Championship runner-up. Cahill now comes up against Scott Donaldson with the winner progressing into round four and a place in the last 16. Donaldson was a 4-2 winner against John J Astley in his opening round match before seeing off two-time World Championship semi-finalist – and former Welsh Open runner-up – Joe Swail by the odd frame in seven. Murphy is the second of snooker’s leading names to fall foul of Cahill in recent months. In December, he pulled off a huge shock back at the scene of his greatest triumph by knocking world number one Mark Selby out of the Betway UK Championships in the first round in York. He stunned the three-times world champion 6-3 at the Barbican before losing his second-round clash with Sunny Akani. It was in the same competition four years earlier that a then teenaged Cahill first took the sport by storm, defeating Ding Junhui on his way to reaching the fourth round.